In most cases, skin cancers are not that big a deal – easy to treat and rarely causing long-term problems. These basal-cell and squamous-cell skin cancers account for 95% of all skin cancers diagnosed in Canada. But that other 5% is a different matter entirely. Melanoma is a much more serious cancer, harder to treat and tends to progress more quickly. In 2017 alone, 7,300 people in Canada were diagnosed with melanoma; 1,240 died from it. Melanoma is the seventh most common cancer diagnosed in Canada. And while the five-year survival rate is high – somewhere around 90% of people diagnosed with it survive for that length of time – for those who fail to respond to treatment, the options are few, and five-year survival rates much lower. 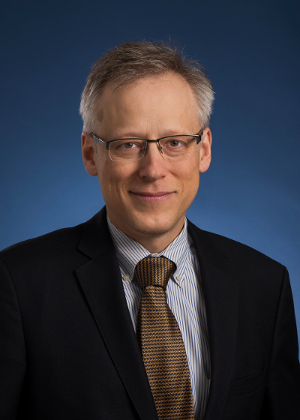 With support from BioCanRx, Dr. Marcus Butler, from the Princess Margaret Cancer Centre, is leading an early-stage (phase 1b) clinical trial that could expand that suite of options. The trial is called ACTIVATE (Adoptive Cell Therapy InVigorated to Augment Tumour Eradication) and its goal is to assess the safety and efficacy of treating melanoma by combining adoptive cell therapy using tumour infiltrating lymphocytes (TILs) with a checkpoint inhibitor called pembrolizumab (approved in Canada for, among other cancers, metastatic melanoma). TILs are, as the name implies, immune system cells that manage to find their way into a tumour mass. Once there, however, there are usually not enough of them, and they do not have enough strength on their own, to overcome the cell’s own defenses. Dr. Pamela Ohashi, a colleague of Dr. Butler’s from the Princess Margaret Cancer Centre, has learned how to take a tumour sample from a patient and grow the TILs in the lab (see BioCanRx newsletter, fall 2016). By combining these TILs with a checkpoint inhibitor, which shuts down the cancer cell’s ability to repel immune system attacks, Dr. Butler hopes to be able to help patients in whom the checkpoint inhibitor alone has not been successful. The idea behind the trial, Dr. Butler says, is that TILs will reset the immune response once they have been charged in the lab and restored to the patient. The pembrolizumab, in turn, will help keep that immune response going. Previous studies have found that for some patients the response to the TIL therapy can be short-lived, so the addition of the pembrolizumab will, Dr. Butler hypothesizes, help to overcome that difficulty. This is the first trial of this approach, but it is also unique in that it includes patients with rare melanomas, whose tumours often do not benefit from conventional treatment. “This might be a way to make a difference for these patients,” Dr. Butler says. So far, six patients have been enrolled in the study, half of the 12 who will ultimately participate. The trial should be completed by the end of the year, Dr. Butler says, by which time they will know if the combination treatment is a feasible approach, one that is both safe and demonstrates the potential for clinical results. “We will see signs that this approach is a good thing to do for patients, if it shows results,” he says. Then, the work really starts, with further clinical trials to gain the evidence needed to support the combination therapy’s use in the clinic.